In China, Nissan’s sales from January to October 2018 increased 5.8% from a year earlier to a record 1,237,656 vehicles. Sales in October decreased 5.5%. Sales at the company’s passenger vehicle businesses – including Dongfeng Nissan and Dongfeng Venucia – rose 6.3% over the past 10 months to 1,032,676 vehicles. The light commercial vehicle business, comprising Dongfeng Automobile Co., Ltd. (DFAC) and Zhengzhou Nissan (ZNA), boosted sales 5.4% to 169,517 year-to-date. In the U.S., Nissan Group announced total sales for October 2018 of 109,962 units, a decrease of 11% compared to the previous year. Nissan NV200 sales were 1,439 units, up 4% to achieve an October record. 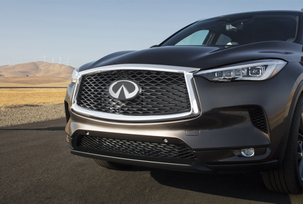 INFINITI reported its best-ever October sales in the U.S. of 11,880 vehicles, up 15%. The all-new 2019 INFINITI QX50 luxury crossover had its third-straight record month with 3,160 deliveries, up 142%. In Canada, Nissan Group announced a best October ever with total sales of 12,198 units for October 2018, an increase of 5.4% year-over-year. Nissan Division also achieved a record October with sales of 11,296 units, up 7.7% from 2017. INFINITI sold 902 vehicles in October, a decrease of 16.8% from the prior year.